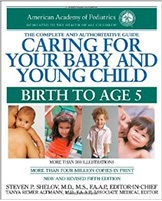 An indispensable guide to recognizing and solving common childhood health problems, plus detailed instructions for coping with emergency medical situations. How to know if your child’s illness or injury is really an emergency. An informative blog by Dr. Audrey Paul, an assistant professor in pediatric emergency medicine at Mt. Sinai Medical School in NYC and the director of community outreach and the child life liason for the emergency department.